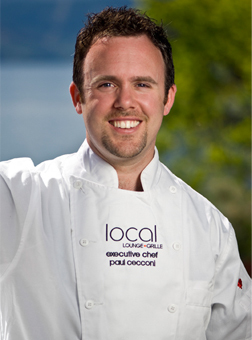 Paul Cecconi, Executive Chef at the Local Lounge • Grille is honored to have won the 4th Annual Ocean Wise Chowder Chowdown in Vancouver last month. Competing against twelve of BC’s top chefs, Cecconi’s ‘outlandish’ oyster chowder with parsnips and squash was topped with crusty buttered bread crumbs, and was in the words of the judges; “the well-deserved winner”. The sold-out event of 550+ guests was held at the Vancouver Aquarium on November 23. Finalists had been narrowed down from a field of 40+ chefs from restaurants and culinary institutes throughout the province ranging from the Four Seasons to the Pacific Institute of Culinary Arts. In other words; stiff competition. As the head chef at Local Lounge • Grille, Paul takes a hands-on approach with everything from produce selection and planning menus, to ensuring that the focus for dishes is both seasonally appropriate as well as sourced locally. Face to face meetings with local suppliers means he knows what’s coming into the kitchen and he personally gets involved in all aspects, from seed selection through to harvest. 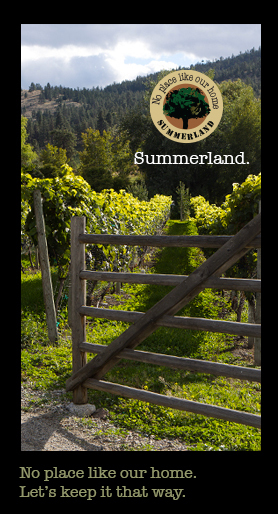 Paul is committed to excellence in gastronomy and wine, and has an advanced Wine & Spirit Education Trust (WSET) certificate. One of his contributions to the culinary industry is to mentor other young chefs in their culinary journey to achieve Red Seal certification, which allows them to practice their trade anywhere in Canada without additional examinations, thus helping them gain an advantage in what is now a competitive industry. You may only have to wait a week or so for this new menu addition, but if you’re up to the challenge you can try it out in your own kitchen. Check out the recipe below.